All organisms require nitrogen to live and grow. The movement of nitrogen between the atmosphere, biosphere, and geosphere in different forms is described by the nitrogen cycle. This book is an activity of the COST 856 Action on Denitrification. 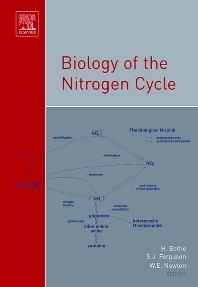 It covers all aspects of the N-cycle: chemistry, biology (enzymology, molecular biology), physics, applied aspects (greenhouse effect, N-pollution problems, practices in farming, in waste-water treatment, and more). In this book, leading editors offer the latest research available on dentrification (reduction of nitrates or nitrites commonly by bacteria- as in soil). Graduate/postdoc scientists, doctoral students in the field of denitrification and the ecological balance in nitrogen and the environment. Department of Biochemistry and Microbiology, University of Virginia, Blacksburg, U.S.A.